» What will you be tested on? » What is the examiner like? Your driving instructor will be able to advise you when you are ready to take your practical driving test and which test centre will be best for you. Book your practical test through the DVSA website. Or your instructor can arrange it for you. Call the test booking line on 0300 2001122. Download a postal application here. Payment can be made by cheque or postal order. What if I need to change or cancel my practical driving test? You can change or cancel a practical test over the phone or online up to three clear working days before the test, without loss of test fee. Make sure your instructor is available if you change to a new date. 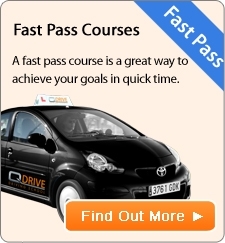 I want to take my driving test quicker, how easy is it to get a practical driving test cancellation? You'll need to check the DVSA booking website as frequently as possible ( even 5 times a day) as cancellation dates can come and go very quickly. Make sure you know what times your instructor is available- that way you can book the slots as soon as you see them come up to increase your chances.